Some five thousand years ago, in the Neolithic Age, the people of the British Isles began constructing megalithic rings: circular spaces marked by boundaries of purposefully erected stones. They also created rings of earth, called henges, and of wood. These prehistoric builders were some of the world’s early farmers, living in established settlements with crops and domesticated animals. Their lives were wholly dependent on the forces of the earth and nature, and their belief system likely reflected that connectedness. Stones were often aligned with the rising or setting of the sun or moon at certain times of the year, indicating concepts of fertility and the cycle of life. The appearance of burnt human bone at almost every known site suggests ancestor worship and reverence for death. The stone circles are found almost exclusively within the British Isles, and there are about 1,000 known sites. The earliest examples were made from unhewn boulders or closely set banks of stone, and appeared mostly in the northern coastal and lowland regions. Over time, stone circle building became more advanced and widespread; designs became more complex and varied over regions. Some circles were built at the site of burial mounds or existing henges. Stone size and shape varied – from tall pillars to small, squat boulders – and some weighed dozens of tons. Circles ranged in size from about 10 feet to more than 1,000 feet in diameter. The transportation, erection and arrangement of such massive stones was truly a feat of engineering. Prehistoric people continued to build stone circles until about 1500 B.C., and some of the finest megalithic rings were erected in the centuries around 2400 B.C. Archaeologists, geologists and mathematicians of the modern age, along with spiritually minded people and the generally curious, have generated innumerable speculations about the origin and purpose of the stone circles. Temples, courts of justice, cemeteries, calendars, and celestial observatories are some of the more common postulated reasons. Although their precise function may never be known, carbon dating and other archaeological clues have allowed scientists to make general assumptions regarding the history and use of the structures. They were most certainly connected to the belief system of the prehistoric people who built them, and experts generally agree that they were the sites of sacred rituals and ceremonies. Although many rings reveal astronomical alignments, because of the crudeness of the stones, their positioning was more symbolic than functional. The fact that the rings were built over a period of some 2,000 years and in all corners of the isles suggests that there was no single purpose and no pat explanation for their function. The earlier, larger rings were probably communal centers, while the latest, which were smaller and more complex, may have been built for individual, elite families. Very little is known of the stone circles and their use from the end of the circle-building era through the early centuries of the first millennium. The Roman invasion of the first century brought recorded history to the British Isles, but nothing was written about the stone circles. The Romans did write about the Celts, whom they eventually conquered, and their powerful priestly order, the Druids, whose nature-based belief and practice endured even as Christianity took root. It is known that as the ever-growing Christian church attempted to stamp out pagan practice, it issued edicts condemning beliefs connected to natural objects, including stones, and in at least one area it ordered that churches be built wherever standing stones were found. Such evidence supports the belief that the megalithic rings continued to be used, or at least venerated. If nothing else, their power continued to be recognized, generating folk tales and superstitions that were passed down through generations. Stonehenge, located in Wiltshire, about 60 miles southwest of London, is by far the most well-known and recognized of Britain’s stone circles. It evolved from a simple henge to a sophisticated stone circle over a span of some 2,000 years. Stonehenge is distinct from other megalithic rings: it features a circle of well-hewn upright stones and lintels – horizontal stones that span the tops of the uprights – and pairs of standing stones with lintels on top, called trilithons. The monument’s northeast-southwest alignment ties it to the solstice and equinox, and thousands of people come each year to watch the midsummer sunrise. Avebury, located about 20 miles to the north of Stonehenge, is Europe’s largest circular megalithic ensemble, and many say it’s the most awe inspiring. Its outer circle is some 1,300 feet in diameter and partially encloses the village of Avebury. In 1986 Stonehenge, Avebury and related sites were inscribed on the UNESCO World Heritage List in recognition of their cultural value. The related “satellite sites” include settlement areas, burial grounds and large circular groupings of earth and wood. The International Council on Monuments and Sites, which assesses sites recommended for World Heritage inscription, emphasizes the importance of the overall landscape – the spaces between the monuments as well as the monuments themselves. Although the lifestyle, culture, beliefs and practices of the people of the British Isles have changed radically over the 5,000 years since the stone circles were first built, these ancient monuments have continued to serve as places of congregation, ceremony and ritual. The megalithic rings are important to many practitioners of modern Paganism, which includes Druidry and other spiritual paths that focus on connecting with nature as a deified or sacred being. The circles are considered sacred places where the spirit of the land is felt most strongly and ancestral connections can be made. Stonehenge and Avebury are major sites of celebrations at the summer solstice and other Pagan festivals, and lesser-known rings are often the sites of small offerings and rituals. Many others who aren’t affiliated with Paganism also visit and revere the megalithic rings, describing an innate urge to venerate the landscape and their ancestors and to reconnect with their history. Over the past few decades, Britain has seen a surge in the popularity of its ancient sacred sites, and a desire to make the stone circles spiritually relevant to present-day society. For decades, Stonehenge’s biggest threat has been the automobile. Two increasingly congested highways ran on either side of the site, making traffic noise, sights and smells an inescapable part of a visitor’s experience. One road even cuts off the Avenue, a ceremonial pathway leading to the stones, and runs shockingly close to the monument’s Heel Stone, an important solar alignment point. In the busy summer months, the roads are major traffic bottlenecks. The visitor parking lot sits across the road from the monument, adding another blemish to its sacred landscape. The lot is also too small to handle the high volume of summer traffic, forcing people to park illegally on the roadside. While removing road traffic has been widely recognized as the starting point for restoring the landscape of Stonehenge, diminishing harmful environmental effects and ensuring that it remains a protected and respected place for generations to come, arriving at a solution has been no simple matter. In July 1998, after nearly a decade of internal debate, the English government launched a plan to rebuild one of the highways, the A303, and run part of it underground while closing the A344, the road that runs closest to the stones. In the face of tremendous opposition, an initial plan for a “cut-and-cover” tunnel – which, as its name suggests, means digging a deep trench into the earth, then covering the top of it – was scrapped in late 2002 and replaced with a more expensive but less destructive bored-tunnel approach. Sponsors of the “Stonehenge Project” – including English Heritage, a government-affiliated organization that manages Stonehenge and other national monuments, and government transportation agencies – said it would remove the traffic noise and pollution near the stones, restore the surrounding chalk grassland environment and “reunite Stonehenge with its surrounding monuments and landscape.” In addition to altering the roadways around the monument, the plans called for the relocation of parking facilities and construction of a new visitor center, sited about 1.8 miles from the stones, that would blend with the landscape. Critics, however, accused the promoters of touting the fringe benefits of the plan to deflect attention from the fact that the A303 would be expanded to a four-lane highway, with only a 1.3-mile section nearest the stones running underground. They said the highway would bring increased noise and pollution, and its construction could damage surrounding archaeological sites. In October 2009, English Heritage submitted to the Wiltshire Council its plans to close and grass over the offending stretch of the A344 and adjacent parking lot. Also included in the submission was a proposal for a new visitors’ center and parking lot, to be located 1.5 miles west of the prehistoric stones. In January 2012, the council approved the road closure. The £27 million project began in July 2012, and the section of the road was closed in July 2013. The visitor center opened in December 2013. The center, which was designed to blend in with the World Heritage landscape, now connects to the site via a shuttle system. Pilgrims can now walk to the megaliths through a sacred landscape free of car traffic. Stonehenge, as well as other stone circles throughout the region, suffers ill effects from tourism. Visitors mark graffiti on the stones or chip away bits to take home as souvenirs. At Stonehenge, which receives some 800,000 visitors annually, the large crowds make it difficult to completely deter such disrespectful and damaging behavior. A fence has been erected to discourage defacing the stones, but it is visually disruptive. Stonehenge’s renown as a sacred center has brought problems with crowds during the summer solstice, when Druids and other Pagan groups come for ceremony and worship, along with many curious onlookers and revelers. In 1984, Stonehenge and a four-mile area surrounding the site were closed to visitors on solstice night because of a series of disruptions, and this practice continued until 2000. Today, Stonehenge is open on the summer solstice and has attracted crowds of nearly 25,000 people, sometimes bringing conservation principles and freedom of spiritual practice into conflict. If you go to Stonehenge, Avebury and other sacred stone circles of Britain, consider visiting without a car. Contact Sustrans, a nonprofit promoting sustainable transportation, for help mapping out a bicycle route. As with all sacred places, visit respectfully. Blain, Jenny and Robert J. Wallis. “Paganism, Archeological Monuments and Access.” Sacred Sites, Contested Rights/Rites Project. BBC. “Stonehenge Tunnel Plans Scrapped.” BBC, December 6, 2007. Brooks, Richard. “Druids Delight at Stonehenge Car Ban.” TimesOnline, October 4, 2009. Cope, Julian. The Modern Antiquarian. English Heritage. “English Heritage Unveils Stonehenge Visitor Centre Designs.” English Heritage. English Heritage. The Future of Stonehenge; Public Consultation. English Heritage. “Stonehenge.” English Heritage. English Heritage. “Stonehenge Visitor Centre.” English Heritage. Heritage Action. “The Nine Ladies of Stanton Moor.” Heritage Action. Heritage Action. “Thornborough Henges.” Heritage Action. Save Stonehenge! Campaign. Save Stonehenge! Telegraph. 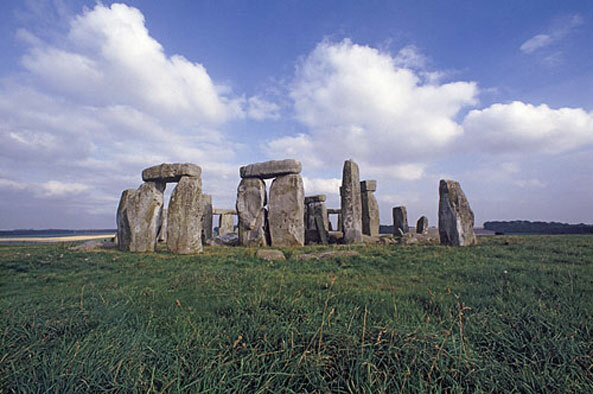 “Stonehenge: English Heritage Reveals New Visitor Centre.” Telegraph (UK), October 12, 2009.